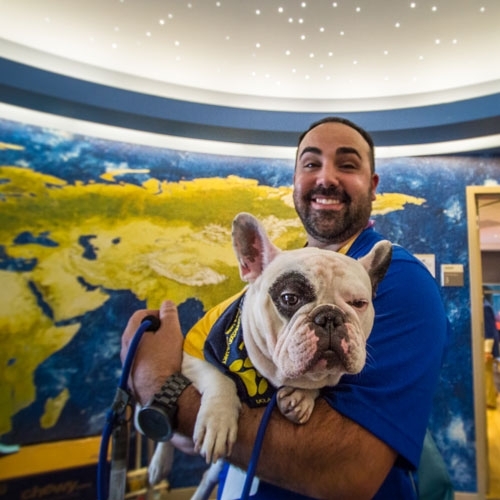 "My dad's a pediatrician and my mom is a physical therapist, so I grew up in hospitals," says Matt Elias, who has been volunteering with his 2-year-old French bulldog, Pierre, at Ronald Reagan UCLA Medical Center for the past year as part of the UCLA People-Animal Connection program. "When I got Pierre, I realized I should probably share him, he is so good with people. When I started, I didn't anticipate how much the staff would respond. 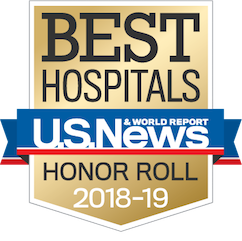 I thought it would just be for the patients, but the staff can be stressed out and need some pet therapy as well. It's a lot of fun."